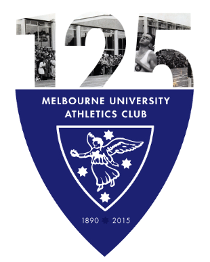 Melbourne University Athletics Club » Annnnd… that’s a wrap, folks! Annnnd… that’s a wrap, folks! From the creators of Jell-Asics Park and The Sandown Relays comes the ultimate relay adventure. MUAC’s technicolour racing triumph! Featuring a cast bigger than Ben Hur, and never seen before action sequences starring the White Train. 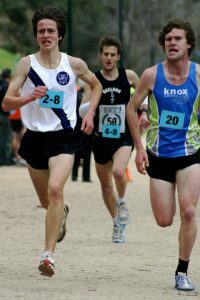 Last Saturday saw 34 runners in 9 teams take on the Tan track in the final race of the season: the Tan Relays. The race capped off a great season. We had old hands and new recruits, marathoners and 1500m stars, all lining up for a taste of Anderson Street hill. With those kind of numbers we were able to field 6 men’s and 3 women’s teams, a record for the season. Although it’s very much a team event, we saw a number of Oscar-worthy runs. Sophie Barker led off the women’s div 1 team with a time of 13.42. Leigh Goedecke made his Tan debut with 13.09, and Shula Webb made hers in 15.09. Harry Smithers finished up a speedy season with a cruisy 11.43 lap. Best director, of course, goes to Tony Brain, who has been unstintingly generous with his time and knowledge throughout the season. Team Manager Kate Scarlett takes home the Best Producer award for success in the herculean task of organising the White Train. Awards also got to Winter Captains Sarah Emons (gaffer) and David Paroissien (best boy). Nominations for best costume design go to tan stalwart Tim Thomas, who as usual kitted out a number of uniform-less runners. Thanks Tim! Offsite catering organised by Dutton and Newman apparently went down a treat too! Many thanks to Isabell, Sarah, Dave U and Heidi for helping out on the day. Without volunteers, these events wouldn’t happen. Congratulations and thank you to everyone involved in the XCR 10 series: runners, volunteers, supporting family and friends. See you all at the wrap party on 2 October!